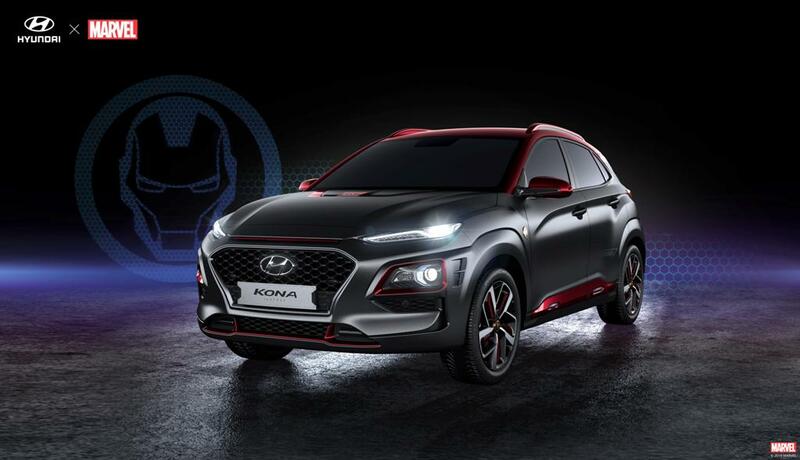 In true Tony Stark fashion, the Hyundai Kona has got a new suit. It would be available from March 1. The Kona Iron Man Edition is the result of a collaboration with Marvel. It features both exterior and interior design elements that closely resemble and give a nod to the dynamic Iron Man suit. The Kona Iron Man Edition’s price is £27,995. It features a host of standard equipment in line with the rest of the Kona range. In addition, there are bespoke Iron Man inspired features. Such are the matte grey and “red armour” exterior paintwork and bespoke Iron-grip dual-tone 18” alloy wheels. There are also Iron Man emblems on the front wings and puddle lamps. The bonnet went through a redesign for the Kona Iron Man Edition, featuring a red bonnet bezel with Marvel logo. The leather seats feature red stitching and piping. The heated and ventilated front seats are embossed with the STARK Industries logo and Iron Man image on the backrests. Upon start up, the standard KRELL Premium audio system and supervision instrument cluster both display the Iron Man eyes during system check. The instrument cluster and tachometer also feature the STARK Industries Arc Reactor as the background graphics. The same goes for the leather wrapped and red stitched gear lever. The Iron Man theme is rounded off by a dashboard signature from Tony Stark. As well as bespoke equipment, the Kona Iron Man Edition also shares equipment from within the Kona range, including automatic LED head and tail lights, Keyless Entry with Engine Start/Stop Button, 8” Touchscreen Satellite Navigation with standard Android Auto and Apple Car Play, air conditioning with climate control and drivers side head up display. Safety equipment, includes autonomous emergency braking, blind spot detection, downhill brake control, driver attention alert, lane keep assist and rear cross traffic alert fitted as standard. 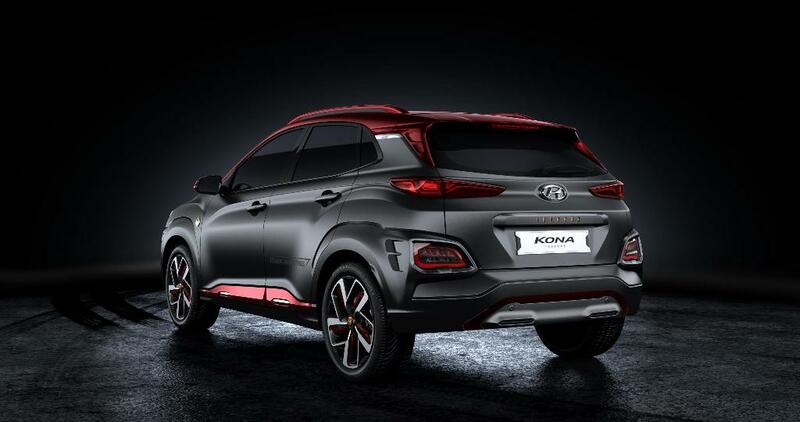 Kona Iron Man Edition is available in one exterior colour, Matte Grey with Red Armour roof and contrasts, with one powertrain available, a 177PS 1.6 T-GDi, with 7 speed Dual Clutch Transmission and 2WD. All KONA models come with Hyundai’s industry-leading 5 Year Unlimited Mileage Warranty. They also have Roadside Assistance package. There’s 5 Year Annual Health Check as well as 12 Year Anti Corrosion Warranty. Kona Iron Man Edition, the first ever Marvel superhero featured vehicle, is coming. The audacious style and technological genius of Iron Man. The unstoppable spirit and performance of Kona.